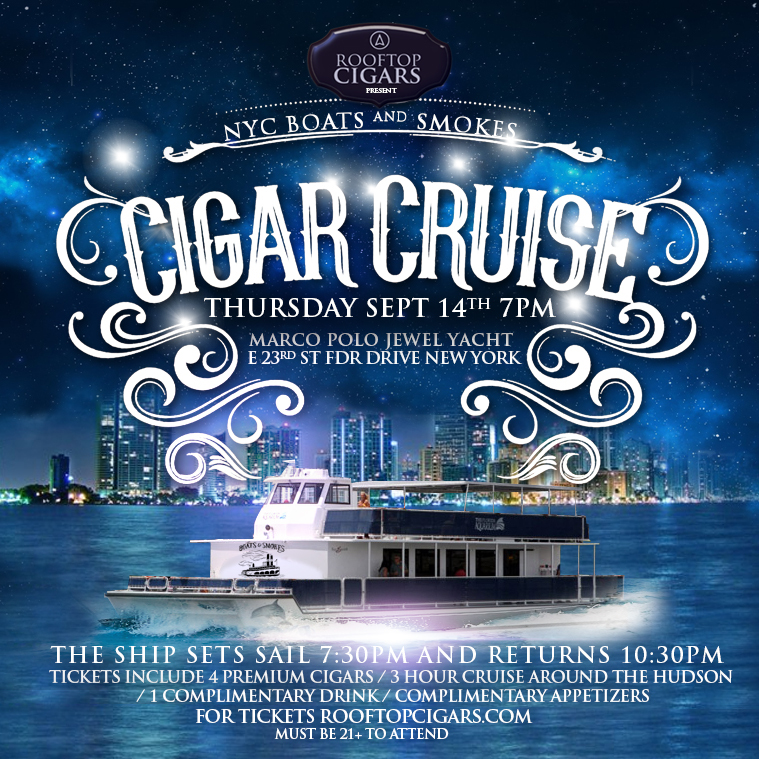 Join us, as we relax and cruise over the East River while blowing smoke rings and sipping on scotch. Cigar vendors will be on site, or feel free to bring your own brand on board. This intimate 21+ private event brings together cigar enthusiasts from all over to mingle, sip, smoke and enjoy the views at their leisure. SELECT Members receive a special discount when using the code "MEETSELECT"